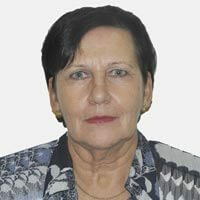 Irmgard Höschle-Zeledon is the Coordinator (West and East/Southern Africa) for the Africa RISING project. Irmgard has a PhD in Agricultural Science (Plant Production and Landscape Ecology) from the University of Hohenheim in Germany. Irmgard, a German, has a vast experience in development and implementation of IPM strategies in small-scale agriculture in developing countries. She has a strong background in production and evaluation of biological pesticides. Management of human and financial resources has also been an essential part her work in her previous positions. Her professional career spans over 25 years. Prior to joining IITA, she worked in various capacities in IPM projects for Germany Technical Cooperation (GTZ). During her posting in Malawi (1992-2002) as advisor to the Department of Agricultural Research and Technical Services, she collaborated closely with IITA, ICIPE and ICRISAT within the joint bio-control and fi eld research programs. After the enactment of the Malawi Pesticides Bill, the project she was leading actively supported the establishment of the Pesticides Control Board, of which she became its advisor. She was also an active member of the FAO-led IPM Task Force in Malawi. Since 2002, she was with Bioversity International at the headquarters in Rome, Italy as t he coordinator of the Global Facilitation Unit for Underutilized Species (GFU). She started her career as a research assistant at the University of Honenheim in Germany from December 1983 to May 1986.